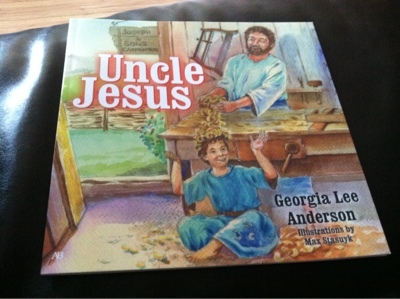 "Uncle Jesus" is a colorful children's book that tells the story of Jesus through memories that his young nephew has of his time with Uncle Jesus. The entire story is told through these memories, as a young Shem recalls his fondest memories of his uncle in conversation with his Grandma Mary. The storyline of the book is cute and allows the younger reader to see Jesus as a real person who they can relate to through Shem. I would recommend this book for ages 6 and up. Some of the vocabulary choices are more appropriate for older children, as my four year old had some trouble understanding. Overall I would give this book a 4/5. The illustrations are colorful and the story itself is an original idea to help kids relate to Jesus. FTC Disclosure: I received this book for free from BookCrash.com in exchange for an honest review. I was not obligated to write a positive review and received no financial compensation for my review.